The "AC D", en route from Temryuk to Port Said suffered a main engine failure in the Kerch Canal on June 10, 2018. at 8.30 p.m. The vessel anchored three cables from Kerch buoy No. 43 in the Kerch-Yenikal Canal to conduct repairs. At 9.40 p.m. the pilot reported that the main engine had been repaired and at 10 p.m. the vessel was under way again to its destination. The "Nordic Theresa" was disabled and drifting on June 10, 2015, about 390 miles west of Gibraltar. 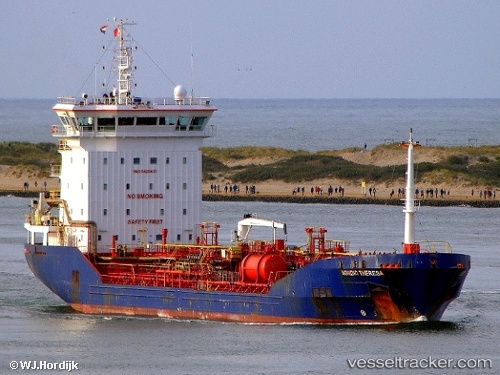 The vessel was en route from Las Palmas to Rotterdam.